For the second time in two months, I found myself announcing to the members of Medinge Group another passing: that of my good friend Tim Kitchin. Tim passed away over the weekend, and leaves behind three kids. I always admired Tim’s point of view, his depth of thinking, and his generosity of spirit. I remember Tim taking notes at my first Medinge meeting in 2002: he drew mind maps. None of this line-by-line stuff. And they worked tremendously well for him. His brain had a capacity to process arguments and get to the core incredibly quickly, from where he could form a robust analysis of the issues. But never at any point did Tim use this massive intellect to debase or humour anyone. He used it to better any situation with a reasoned and restrained approach. Whenever he commented, he did so profoundly. Tim could get across in very few words some complex arguments, or at least open the door to your own thinking and analysis. In 2003, Tim was one of the authors of Beyond Branding, with a chapter on sustainability (‘Brand Sustainability: It’s about Life … or Death’). Note the year: he was writing about sustainability before some of today’s experts began thinking about it. 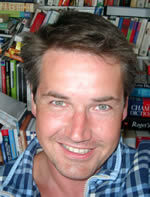 Prior to that he had co-authored Managing Corporate Reputations (2001). He wrote a chapter summary for Beyond Branding, which began, ‘Imagine the life of the earth as a single day. In the last 400th of a second of that day we have directly altered 47% of the earth’s land area in the name of commerce and agriculture, but even so, 900 million people are still malnourished, 1.2 billion lack clean water and 2 billion have no access to sanitation. ‘We cannot take it for granted that governments will suddenly acquire the clarity[,] insight and commonality of belief to see a process of renovation to its end. Unless we accept our joint and several liability for this future and begin to address the sustainability of all human systems, we stand little chance of tackling the most complex system of all—our symbiosis with spaceship earth … destination unknown … arrival time yet to be announced. ‘Against this apocalyptic backdrop, how does a 60 year-old global CEO promise a bright future and possibly a pension to his 16 year-old apprentice, or any future at all to the ten year-old enslaved employees of his suppliers’? You can see the sort of thinking Tim exhibited in the above, and as I got older the more I realized how ahead of the curve he was. The problems that he writes about remain pressing, and his solutions remain relevant. Presented in language we can all understand, they introduce complex models, much like his mind maps. He had a real love of his work and a belief that organizations could be humanistic and help others. He certainly lived this belief. Tim was with us at Medinge till the end of 2014, and went on to other projects, including directing Copper, a digital fund-raising and marketing agency. He was also helpful to a Kiwi friend of mine who arrived in the UK in 2016—Tim was generous to a fault. With the world in such confusing turmoil, Tim still sought solutions to make sense of it all and posted to social media regularly. And despite whatever he was going through himself, he had a real and constant love for his children. Tim had an enduring spirituality and he believed in an afterlife, so if he’s right, I’ll catch up with him at some stage. By then hopefully we’ll have made a little bit more sense of this planet. As with Thomas, who passed away in December (in Tim’s words, ‘Horrid news to end a horrid year’), I’ll miss him heaps and the world will be far poorer without him. PS. : I have the details of Tim’s service and burial from a mutual friend, Peter Massey. As I guessed, it will be at All Saints’ Church in Biddenden (TN27 8AJ). The date and time are Thursday, February 2 at 2 p.m. There will be a reception afterwards at the Bull in Benenden (TN17 4DE). Nearest train stations are Headcorn and Staplehurst on the line from Charing Cross, Waterloo East and London Bridge. Local taxi firm MTC is on +44 1622 890-003. Joe Churchward, on my last visit to his home in Hataitai in 2012. Joe’s wall at his home in Hataitai. Two of Joe’s business cards, given to me at my last visit. I started the day with the sad news that Joseph Churchward, QSM, has passed away. Joe was a great typeface designer, but, more importantly, a pioneer. He wasn’t the first type designer in New Zealand, but he was certainly the most prolific, and, in the modern era, a trail-blazer. It’s all the more impressive when you realize that Joe did his type design without the aid of computers—he remained sceptical of technology right to the end—using his hand, with pencil to create the outline, then inking them, and whiting out any areas where the ink had gone too far. He left the digitalization of his work to others, including the companies that sought out his designs, most notably Berthold of Germany, through which he had had numerous releases. Joe’s work was marketable right to the end. New typefoundries approached Joe to license his designs, authors still sought him out to write books about him, and even Te Papa held an exhibition of his work a few years ago as it realized Wellington had a living legend right under our noses. Massey University inducted him into its Hall of Fame, although when he was honoured, he was already too ill to attend. My own contact with Joe didn’t begin well. I had made the decision in the 1980s to go into typeface design professionally, and, of course, Churchward International Typefaces was the best known name. And it was right here in Wellington. Making my way up to Wang House on Willis Street, I was confronted with a notice: that the company had been wound up the week before. Later, I discovered that Joe had packed up for Samoa, where he was from. Joe was very proud of his forebears, and the English origin of his name—but he was equally proud of his Samoan and Chinese ancestry. Despite being born in Samoa, he embraced Wellington wholeheartedly, living in Kilbirnie in his youth—I seem to recall him telling me of a residence in Tacy Street—and hanging out with ‘the Māori boys’. He enrolled at what was then Wellington Technical College and some of his early hand-lettering work was created there. However, an incident there also meant that Joe could not get back into hand-lettering in his final years: a fight at the college saw a glass door smash on to his hand, a serious injury that had the principal order him to go to hospital, where surgery was performed. Joe was arguably the pioneer in typeface design in New Zealand as far as photo-lettering was concerned, and was, to my knowledge, the designer who had the greatest number of designs turned in to typefaces for phototypesetting. I still have, somewhere among my files, a photograph from the late 1960s taken at Churchward International Typefaces, which featured Mark Geard and Paul Clarke, two well respected names in the industry. But Joe’s scepticism toward the computer age saw the company suffer, and I would not meet Joe till 2000 after he returned from Samoa. That first meeting was a lengthy one but, strangely, we never discussed our methods. We only discussed our finished designs, and Joe actually asked me to collaborate with him a few years later. Nothing came of that, as I was gearing up to do Lucire in print at that point, and it was an opportunity missed. My own interest in typeface design was probably less strong come the mid-2000s—Joe was easily the more passionate—but we stayed in touch, usually by telephone. On hearing of how ill he was, I visited him last year, and it was only then that we discovered that we actually adopted the same approach to design. The scale we drew at, the pencil-and-ink-and-whitening method—perhaps those were borne out of the limits we had. We had both started before desktop typeface design became the norm, and we both settled on the same method of drawing our creations. And we both did this in isolation, not knowing of peers—we just knew we had a love of drawing type forms by hand. Joe lamented that he could no longer draw because that College injury meant that he could not hold a pen properly. While in very good spirits, I could sense that Joe was pained by this. He had had a lifetime of creating, but now he was forced to sit back, watch a bit of telly, and reminisce. But the visit was a fantastic one, and the sparkle came back every now and then: Joe remained genuinely excited about type design, even to the last days. My colleague and I were gifted posters and business cards from the heyday of Churchward International Typefaces, items which we will cherish even more deeply knowing it was one of Joe’s last gestures to his peers. I might go on about how I began designing type digitally, but that’s not that pioneering. At least by then I had copies of U&lc and the knowledge of others who were designing type offshore. Joe began his career postwar, at a time when international communications were not as good and there was less inspiration around. Instead, he found that within himself, found the way forward himself, and just went for it. Joe was the embodiment of the Kiwi can-do attitude, and a focused Samoan work ethic. The typeface design industry is weaker today with this loss. It was with great sadness that I wrote an obit about my favourite composer, John Barry, today, and published it on the Lucire website. While Barry didn’t have to do with fashion per se, his music was often ﬁtting themes to each era. Who can write a complete history of 1960s’ music without some of its anthems: Barry’s Goldﬁnger and Born Free themes must rank highly (the Academy thought so with the latter; ironic considering Born Free’s producer did not), and the haunting ‘We Have All the Time in the World’? Barry fans like me will point to even his 1970s’ output as brilliant, regardless of the merit of the ﬁlm: Murphy’s War, King Kong and The Deep work as stand-alone works as far as I am concerned. This blog itself is named for a TV series for which Barry wrote the theme, The Persuaders. Somewhere in Time remains as haunting now as it did then; Barry’s contribution to Out of Africa made the ﬁlm seem larger than it really was. John Barry had style—and style is the currency my magazines deal in. It’s easy to point to Barry’s major works, as the obits have done, but as I type, I can think of The Glass Menagerie, Across the Sea of Time, Masquerade and Swept from the Sea as excellent scores, too. Barry once said that he was very visual. It’s an odd comment from a composer, but what he probably meant was that he could ﬁnd music to complement scenes that he saw. For someone who wanted to be a ﬁlm composer since childhood, and taking every opportunity to get there, his is a career that many of us would rightfully envy. He loved what he did, was acclaimed for it, and managed to live his daily life in reasonable privacy. I understood the visual comment but it was hammered home best when, driving around Oriental Bay, I saw one of the ferries go out. At the same time, Barry’s Raise the Titanic theme came on my tape deck (this was a while ago). Now, a Wellington–Picton ferry is not the Titanic, but I was amazed at how well the theme complemented the sight of a ship in the harbour. It was then I realized just how hard it would be for a musician to convey images, and just what Barry meant. I defy anyone listening to the Raise the Titanic theme (presuming you can ﬁnd it—mine was not conducted by Barry) to not get nautical images in your head when it’s played and your eyes are shut. That’s how good Barry was. I always knew at some point I would write John Barry’s obit. I didn’t expect it so soon, but then, I imagine, no one did. He’s the only celeb whose obit-writing caused me to tear up; when composer David Arnold Tweeted that he felt that ‘Mary’s Theme’ from Mary, Queen of Scots was ﬁtting, I teared up a little more. For me, John Barry’s music is the music of my teenage years and my 20s. So much of what I did, I did to a Barry soundtrack. On Her Majesty’s Secret Service’s CD accompanied me into my ﬁrst trip to Switzerland—like the experience with the ferry, it went with the snowy landscapes. As I bombed around Monaco and the South of France, it was The Persuaders’ theme (which I even referred to when I wrote a story about the experience). It was a further bond with my good friend, Richard Searle—when he got me out of some legal issues many years ago, a Barry biography was my gift to him; when I met Donna Loveday, the curator, Barry came up again—she even used one of his compositions at her wedding. It’s like a little bit of myself died today—that’s the feeling I get from the news. I never met John Barry nor did I meet anyone who knew him. The closest I got was Richard telling me he had been to a Barry concert, of which I was very jealous. But I am a fan, and will remain so till my days end. He was the only musician whose career I can say I followed for a majority of my lifetime. So this is how it feels to lose a celebrity whose work you truly admired. I can’t let the passing of Bernard Schwartz—a.k.a. 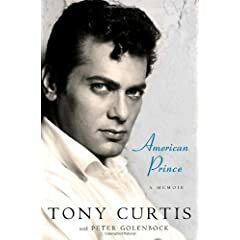 Tony Curtis—go without some sort of tribute. I’ve bitten my tongue a few times this year on writing what I wanted to on this website. And with hindsight, I really should have just gone for it, as someone who preaches transparency. Yes, I do indeed have a sense of humour and a love for old movies, and dear Bernie Schwartz is one of the reasons this blog is named as it is. This blog did not start off all political. An early political entry was about the Mohammed cartoons in Jyllands-Posten, but generally, this was a marketing blog. It was called The Persuader for two reasons: the marketing book, The Hidden Persuaders, and the TV show, The Persuaders. While my German friends think Alarm für Cobra 11 is my favourite show, the truth is that it’s actually what they know as Die Zwei: a camp series made in 1970 starring Tony Curtis and Roger Moore. The rest of us know it as The Persuaders, or, if you are French, Amicalement votre—it’s still quite a popular show in France and not long ago, you could buy the DVDs at newsagents. When I visited Eze, France, in 2002, the ﬁrst thing I thought of was not the parfumeries, despite owning Lucire, but the episode of The Persuaders, ‘The Gold Napoleon’. I understand from the ofﬁcial Roger Moore website at the time that Moore himself had read the piece. It was through Curtis and Moore that a kid in Newtown lived his fantasies of driving along the Corniches in sports cars in the 1970s. Of course rich playboys drove sports cars around the south of France, rescuing damsels in distress, and fought shady Maﬁa ﬁgures and dodgy politicians. The closest I got was bombing around in humble Opels and Peugeots around France and the dodgiest thing I ever fought in that country was food poisoning. And as I got older, with the ad libs that Curtis did in the series—including at least one reference to Bernard Schwartz—I began to think of the great matinee actor by his birth name. It’s why I Tweeted a farewell to ‘Bernie Schwartz’. I was a fan. As a kid, I thought Houdini was fabulous, and this stayed my favourite Curtis ﬁlm for years. Unlike most of the tributes coming in today, I wasn’t that big a fan of Some Like It Hot, though I have seen it many times, and Operation Petticoat was a late-night ﬁller for me. I’m old enough to have watched these as ﬁlms on regular TV. So while the serious ﬁlm buffs go on about Bernard Schwartz and his 1950s’ classics, and The Boston Strangler, I will remember him for the 24 episodes of The Persuaders. Who cares that he made all of them while high? They shaped my childhood and I still think it’s a heck of a legacy. I learned the sad news that Norman Macrae, CBE, 旭日章, passed away on June 11, just shy of his 87th birthday. Norman was one of the great visionaries and forecasters of the 20th century, and served as deputy chief editor of The Economist till his retirement in 1988. Among his forecasts was the fall of the Berlin Wall, the advent of the internet, the move toward teleworking, and the pressing concerns of sustainability and the global income gap. His work included a series of “retrospectives” written from a future date, which continued Norman’s trade-mark analysis on current and emerging trends in the global economy. With his son, and my friend, Chris, Norman authored The 2024 Report, whose predictions of broadband internet and its implications, made in 1984, only began coming true over the last decade. At the time, critics said Macrae and son were too optimistic—although history has proved them right. I sent my condolences to Chris earlier today. The world has lost one of its foremost business editors, a great socioeconomic expert, and visionary. Without Chris I would not have joined the Medinge Group, and it was through him that I realized so many of the Economist forecasts that I had read over the years were the work of his father. I understand The Economist will publish an obit this week.